We provides professional and excellent services at most competitive price. We operates in a manner most adjustable toward different catering requirements. 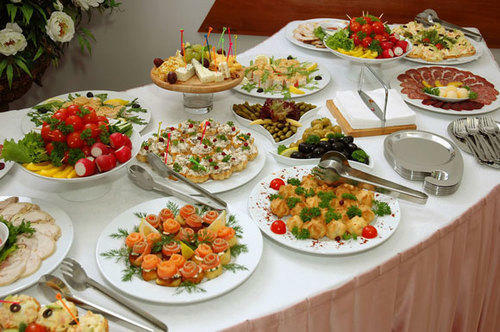 We provides complete or partial catering services for all occasions. Established in 2014, Maa Caterer was floated in the beginning of the year 2005, with new dimensions in the area of Industrial / Corporate catering. The Chairman & Managing Director Dinesh Choudhary was confident that there were substantial opportunities to fly high and far in this business. Initially the business was started with few reputed clientele and the client population hiked subsequently with new names being added to the list every year. Currently CHSIPL is providing Industrial / Corporate Catering Services to various well-known organizations like Software, BPO, Manufacturing, Pharma, Food Industries, Institution etc. Out-Door Catering Services (ODC), Ring Ceremony, Seminar, Family Get-to-gather etc. these are our additional services we cater to our clients. We are also into Managing of Service Apartments, Holiday Homes & Guest House to various organizations on a pan India basis covering Delhi, Mumbai, Chennai, Kolkata, Goa, Ahmedabad. Bangluru, Coimbatore, Gurgaon, Chandigarh, Indore, Bhopal & Rudrapur.